This topic contains 2 replies, has 2 voices, and was last updated by Daniela Swart 9 months, 3 weeks ago. 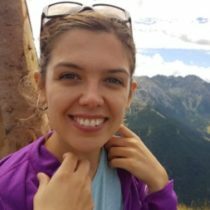 My name is Daniela Swart and I am a 3rd year PhD student in Education at Charles University in Prague (Institute for Research and Development in Education). I have completed the Bachelor and Master degree in Sociology and Social Policy at the Faculty of Social Sciences in Prague. At present I am employed as analyst at the Czech School Inspectorate, Department for Education System Evaluation. In my doctoral thesis I explore the effects of school inspection on school’s quality management. Contrary to my usual statistical work routine, I chose to carry out a qualitatively based research, focused on some aspects of the school improvement mechanisms related to inspection evaluation. I am especially interested in discrepancies in the school inspection program theory and their reflection by the school management (the “discrepancies” being e.g. the tension between control and evaluation, methodological accuracy and heuristics in evaluation, normative inconsistency in reference frameworks. In general, I am interested in preprimary, primary and lower secondary education, equity in education, education of pupils with special education needs. I am interested in the increased variability of forms and value-orientation in educational settings (neoliberal education landscape) and the boundaries of variability set by the national accountability systems. Apart from that, I am enthusiastic about all relevant themes with practical implications to school inspection practice (e.g. inspection thematic report methodology and the influence the thematic reports have on decision-making processes). I am skilled with statistics and accountability practices. Sound theoretical background and experience from other European countries, where language is a barrier for myself. Hi Daniela! With my thesis I am studying socialization of norms and values in educational settings. It’s not inspection or quality management but some aspects between our works might be compatible. See you soon! I am curious to discuss next week!